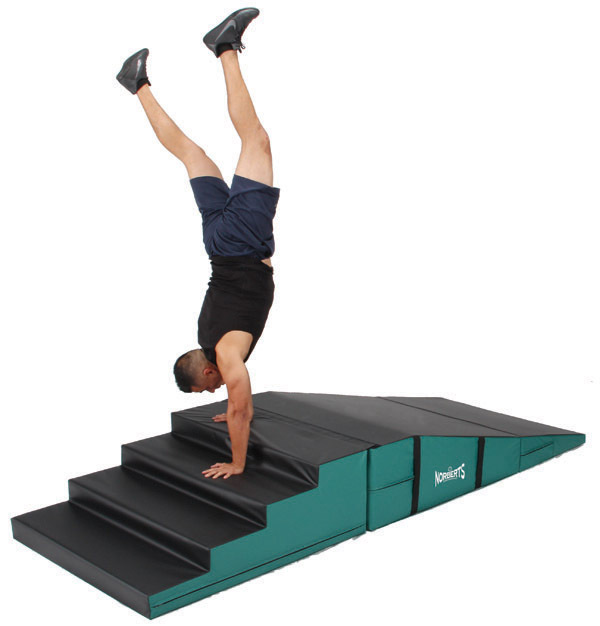 Strength & Conditioning - Fitness Ramp & Step - Norbert's Athletic Products, Inc.
Ramp and step set designed for use as a multi-station. Incline for inverted sit-ups and other exercises, or folded as a sturdy plyo block. Steps can be used as a climbing obstacle. Connect together with hook/loop flaps for a handstand walk station. Filler design features firm 2" crosslink over dense polyfoam.